I joined in with Laura at 'Mommy Run Fast' for her Labour Day Virtual run this weekend. With lots of activities planned for our weekend I thought I'd get a head start and get my run in first thing this morning - the first day of the run weekend (you can log your miles anytime between now and Tuesday!). Now I have to say I generally have 2 speeds when it comes to my running - stop and go! I have plenty of good intentions to try and incorporate speedwork in my training and I totally get all the benefits but when I'm out there plodding along I often let my runs just take their own course. If I have a fast one or a slow run then I think it's just the gods deciding for me. Today I really wanted to try and treat this as a race and I pushed it. I knew I was pushing myself and got out of my regular comfort zone. For the last 4 miles I was consistently improving my overall average pace! Very happy with myself. This was the second fastest paced run this year! Thank you Laura for organizing such a great virtual run and thank you for giving me a reason to push myself. 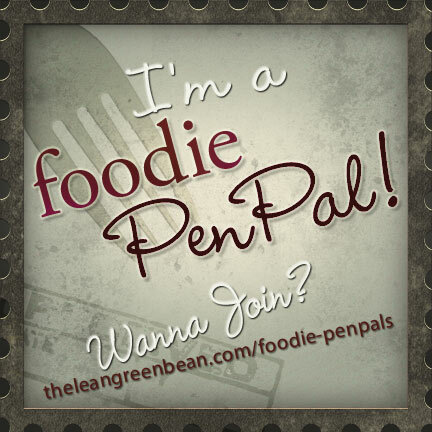 Go and check out her blog - there might be still time to sign up! 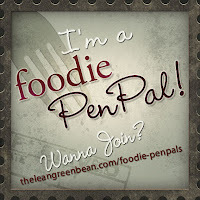 I'm linking this to Jill's Fitness Friday blog hop! The question / prompt today over at Fitness Cheerleader's blogging challenge was the meaning behind your blog name. 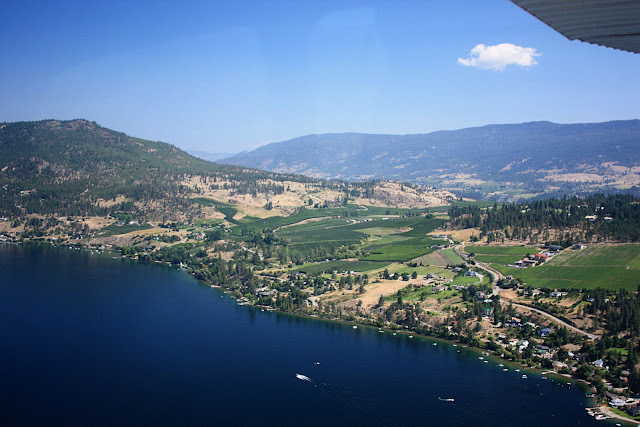 During the course of our adventures we extended the trip into Canada and cruised into the delightful Okanagan Valley in Beautiful British Columbia. We fell in love with the place, and for the first time ideas of NOT going home started materializing. Fast forward 2 years and immigration papers were chugging through the system back in London, but we were done traveling. We didn't want to go home to England in fear of getting settled, so we hung out in Kelowna BC (still living in the RV) networked, and started looking for work to expedite the immigration process. At the time we were still on visitor visas and had to leave every 6 months. We spent a couple of winters back in the UK but in the summers we headed back to Kelowna, and during that second summer we found work and got those treasured work permits. Permanent residency came 10 months later. 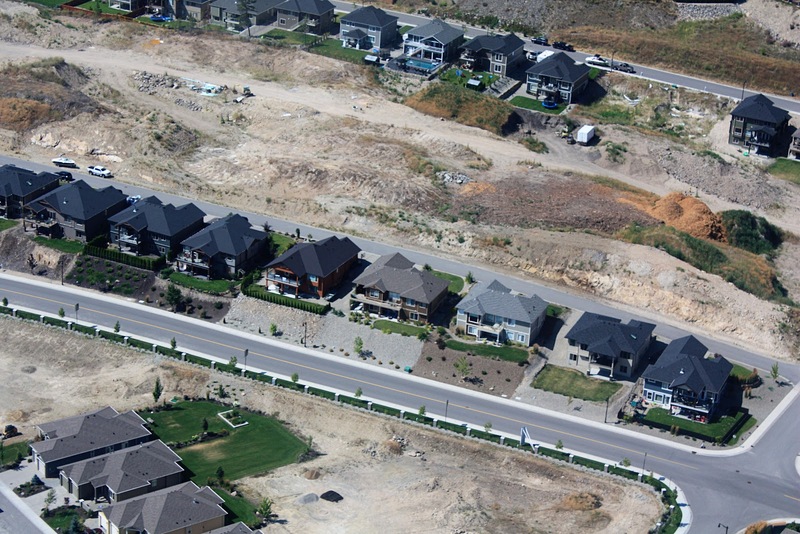 During that transition time when we'd stopped traveling but yet to build a 'permanent' new home I came to realise that the 'Road trip USA' blog title didn't seem all that appropriate any more! What Happened next...was literally that. What happened after the Road Trip....Road tripping was done, and we were embarking on a whole new adventure of emigrating and building a life in a new country. Now it's just a home for my random life. 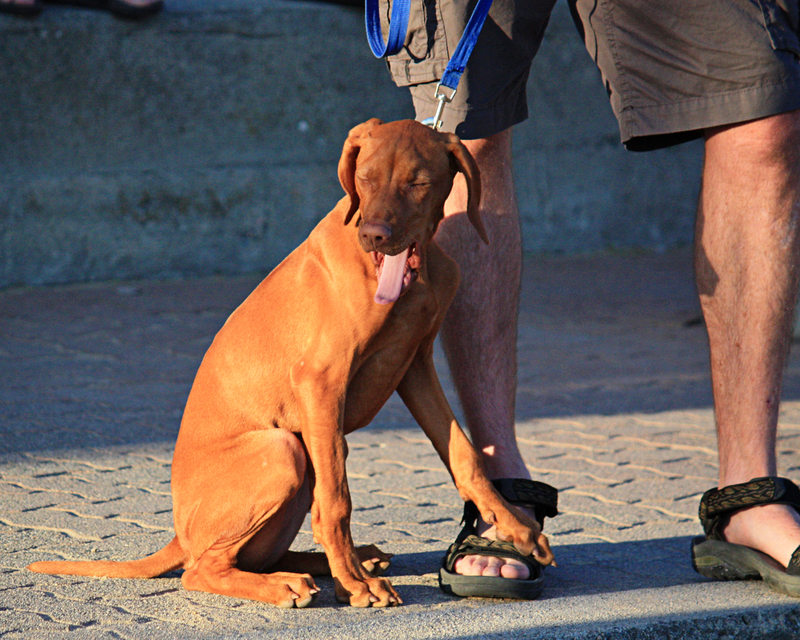 There's my running, scrapbooking, art & decor projects, vacations, recipes, family & my little Vizsla Meli and special events or activities we do. It's just me - whatever floats my boat! 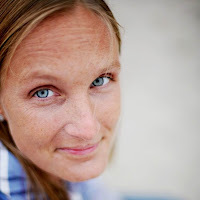 I decided to join Fitness Cheerleader today for her blogging challenge for some of her great blogging prompts. 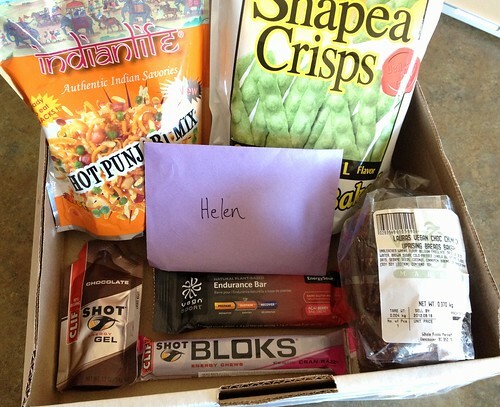 Today is my top 5 running must-haves. My phone is a complete no-brainer. It's a phone, my music, my GPS (using the Nike+ GPS app), it tracks and maps my pace and run times and even gives me some motivational cheering! It also holds I.C.E contact numbers. Couldn't walk out the door without it. Seriously. I'm still happily using the standard iPhone earbuds with it. A couple of folded up tissues (not the whole box!!) Just in cases....! My running shoes - can't get far without some sort of shoe! These are the Brooks Ghost 4 which I'm not passionate about but they have done the job for several hundred miles. The Ghost 5's turn up next week. This weekend we welcomed my Mum and Dad into town on vacation. Just in time for my Dad's birthday! As a birthday treat (for him, and belated gifts for Chris and I!) we were treated to a floatplane tour. 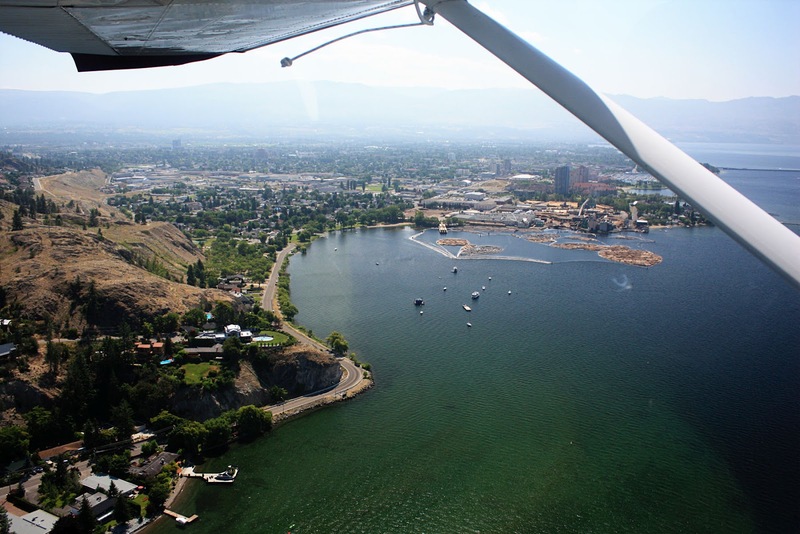 We headed off in our little Cessna 180 to tour the Okanagan from the air. We took off in the middle of Lake Okanagan, just offshore of the Grand Hotel in the downtown Kelowna waterfront. There was a regatta taking place that day so we did a little dodging of sailboats to find ourselves a clear run for take-off! You can see the Grand Hotel right in the middle of the picture (the high rise buildings) and to the left of the photo is the edge of Knox mountain. We headed south down over the lake, passing West Kelowna and Mount Boucherie, then Peachland, Summerland and Naramata. 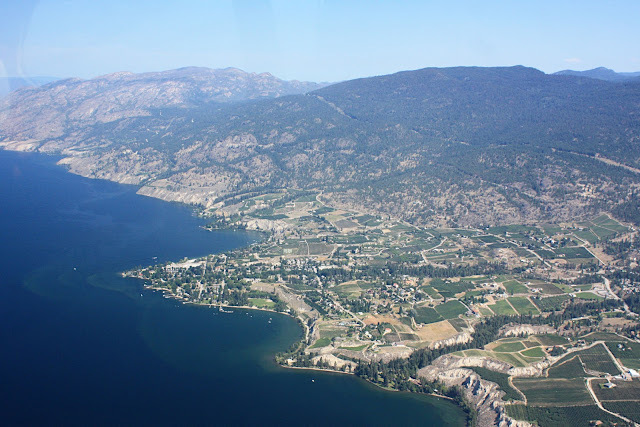 Naramata is probably one of the most well know wine areas in the region - a beautiful little bench above the southern end of Lake Okanagan - Naramata 'village' is on the point in the photo above and you can see all the vineyards covering the surrounding land. 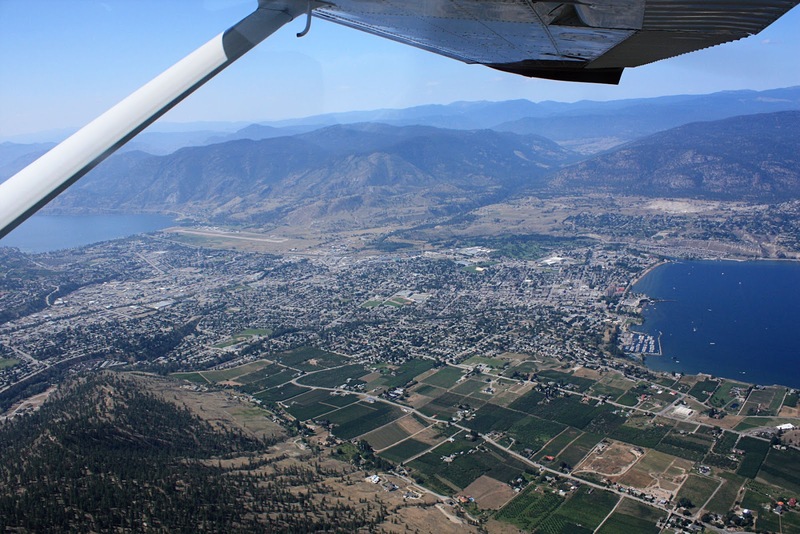 We did a quick aireal pass over Penticton to gain some height before heading off over the mountains to the East. 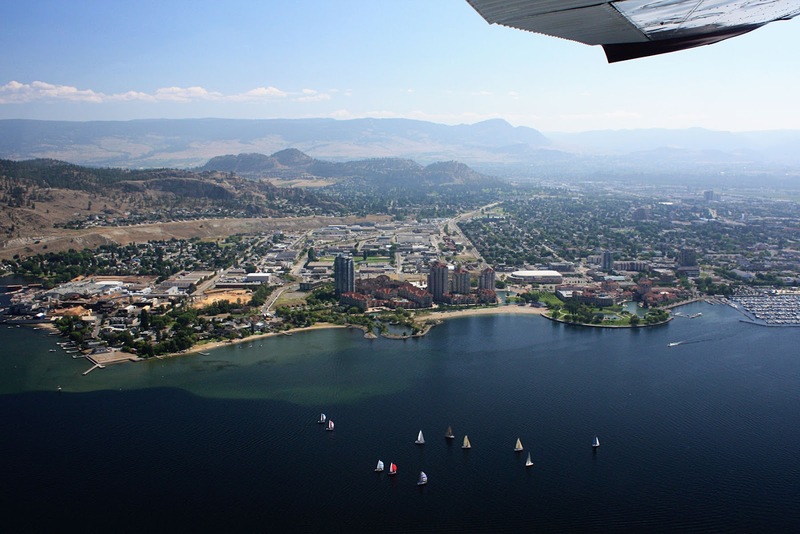 Penticton is nestled between Lake Okanagan to the north (on the right in the pic) and Skaha Lake to the south. There's a channel linking the lakes which is super popular to tube for a few hours in the summer! The gap in the hills in the middle of the photo is Green Mountain Road - infamous for great, great road biking! As we headed back north to Kelowna we passed over the Myra Canyon provincial park. We love this place and have done a few hikes, bike rides and a trail run here!. 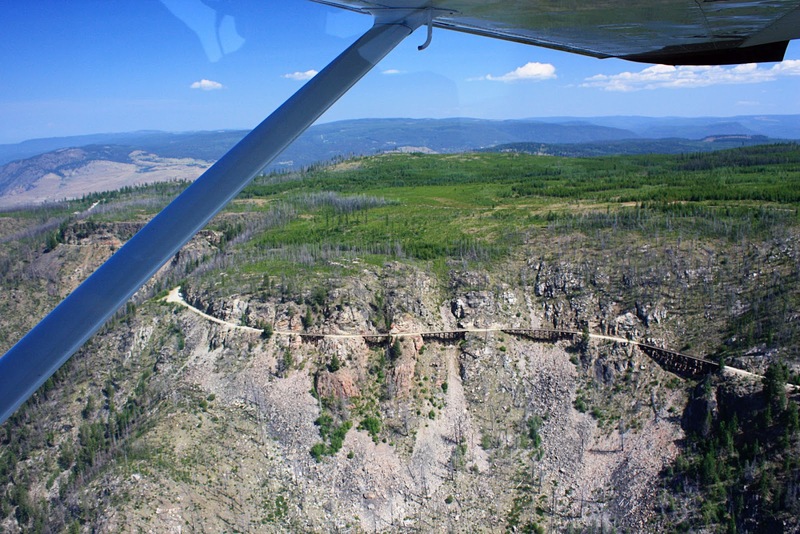 The highlight of the park is the Myra Canyon trestles. The bridges linked the Kettle Valley Railway and were engineered by McCulloch. Back in the Okanagan Mountain fire of 2003 12 of 18 wooden trestles were destroyed by fire but over the last decade a restoration society has rebuilt them and the old rail bed is a popular destination for outdoor enthusiasts. 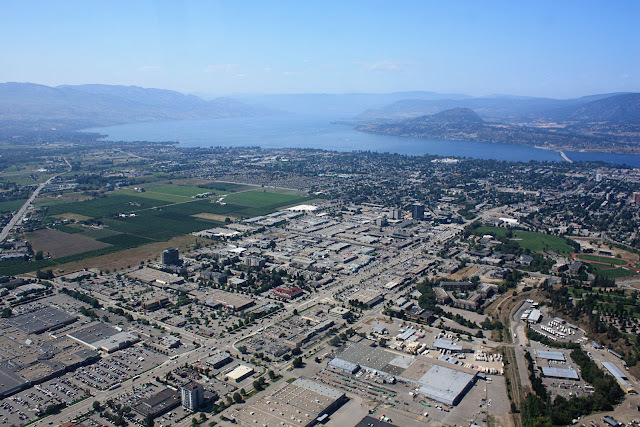 We cut across the main commercial area of Kelowna before our little detour up to the north. This looks over the main Highway 97 and the 'big box stores' area. Off in the top right you can see the bridge over the lake, linking Kelowna with the Southern Okanagan Valley. I truly do appreciate this beautiful region and every day I'm thankful for living here! This is our 'local' Lake Country / Okanagan Centre lakeshore just a couple of minutes from our house. The big hill to the left is Spion Kop which is jam packed with hiking and dirt biking trails and which we access on foot (or bike!) right from our front door. Our favourite winery is Gray Monk and is the red roofed building near the right edge of the photo, halfway up the hill! All too soon we were heading back into Kelowna and flying over the Tolko lumber mill (they float the logs in the water to eek out the sap before processing) before landing out on the water in front of the Grand Hotel.